Children’s books are fun aren’t they? I rediscovered the world through the eyes of my children. From the tiniest of aphids to high-speed trains and mosquito larvae - nothing is ordinary when you think little. That’s why I love writing for kids, they’re so easy to please! Here’s a couple of the concepts that I’m currently working through. Happy reading! 2016 MOONBEAM CHILDREN’S BOOK AWARDS - BRONZE BEST FIRST BOOK. 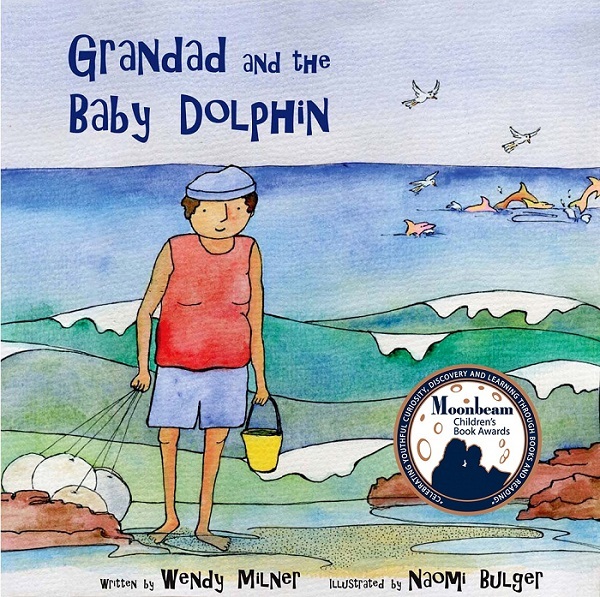 This is the true story of a Grandad who finds a baby dolphin tangled in fishing rope. The dolphin’s family take turns helping him breathe, and it becomes clear to Grandad that they need help – FAST. Grandad and his friends decide to solve the puzzle and untangle the ropes, but the dolphin family don’t like it. They click and squeak and buzz. They thrash and bash and splash. CLICK BELOW FOR FREE ACTIVITY PAGES, MEDIA KITS AND MORE INFORMATION. CONCEPT : “That’s enough!” yells Mr Jones. Bliss is a shy but clumsy farm dog who is misunderstood by her friends on the farm. She tries hard to help with the farm work, but keeps making mistakes. She is either too distracted, too gentle or too clumsy to help. Bliss finds herself in trouble - A LOT! One day, Bliss is surprised by a fox hiding in the long grass. This fox likes to chase and scare sheep. No-one else has seen it. The fox is everything Bliss is not – alert, cunning & fast. Can Bliss stop the fox and save the day? there’s more to read if you like. REQUEST A MANUSCRIPT below. It is cold outside! The Swallows need somewhere to nest during the winter and keep themselves warm. Grandad knows that the swallows are not the best guests. They are noisy, messy and a bit rude. There are swallows in the windows, swallows in the beds, swallows on the steering wheel, swallows banging heads. Swallows eating marshmallows, swallows playing cards, swallows cooking toast and a swallow standing guard. With so many swallows taking over his boat what can Grandad do? He must choose between keeping them safe or pushing them out into the cold?